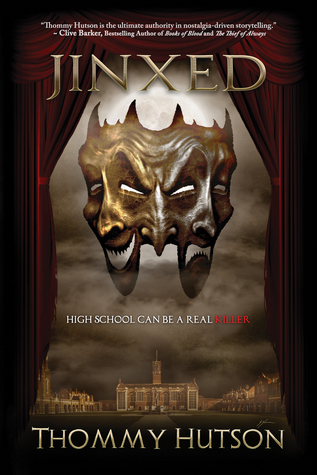 But someone at the secluded Trask Academy of Performing Arts is taking things one deadly step further when the campus is rocked with the deaths of some of its star students. Layna Curtis, a talented, popular senior, soon realizes that the seemingly random, accidental deaths of her friends aren’t random—or accidents—at all. Someone has taken the childhood games too far, using the idea of superstitions to dispose of their classmates. As Layna tries to convince people of her theory, she uncovers the terrifying notion that each escalating, gruesome murder leads closer to its final victim: her. Will Layna’s opening night also be her final bow? This was very reminiscent of those slasher movies of the 80’s – 90’s and it was very well done! The action scenes were so tense and the writing so well done, that I could visualize things as if I was there. It definitely doesn’t have you jumping out of your seat like a movie with all the sound effects and visual effects does, but it is definitely intense and for a book it really did freak me out more than I’d like to admit…lol! At times the writing was pretty graphic, I felt like I almost wanted to turn away. Again, just like when you watched those slasher movies. As far as the mystery, I changed my guess a million times. It is NOT one of those completely obvious, easy to guess books. This one really had me going around in circles. I love that! I can definitely see this book on the big screen someday! I would love that! Thommy Hutson, as seen in his bio below, is extremely gifted. His writing is phenomenal, the way he could make me react to things like I was really seeing them is impressive! I will be on the lookout for anything else he writes. He is definitely a one-click author for me, after reading this book! Born and raised in Upstate New York, Thommy graduated from UCLA and launched his career co-writing the story for the Warner Bros. animated hit SCOOBY-DOO IN WHERE’S MY MUMMY? He followed that with co-writing the concept and additional material for CHILL OUT, SCOOBY-DOO! His career then took a thrilling turn when he wrote and produced several definitive genre film retrospectives for television and home entertainment: SCREAM: THE INSIDE STORY, NEVER SLEEP AGAIN: THE ELM STREET LEGACY, MORE BRAINS! A RETURN TO THE LIVING DEAD and HIS NAME WAS JASON: 30 YEARS OF FRIDAY THE 13th. He was also a staff writer on Hulu’s daily web series “The Morning After,” a smart, witty, pop culture program aimed at getting viewers up-to-date on the latest entertainment news and celebrity interviews. Thommy also produced the critically acclaimed feature THE TROUBLE WITH THE TRUTH, an insightful relationship drama starring Lea Thompson and John Shea. He also produced DREAMWORLD, a quirky, romantic dramedy. He co-wrote and produced ANIMAL for Chiller Films and Drew Barrymore’s Flower Films. The project debuted in iTunes’ top ten horror films (reaching #1) and became the network’s highest-rated original movie. Continuing his passion for uncovering the stories behind the story, he went on to produce CRYSTAL LAKE MEMORIES: THE COMPLETE HISTORY OF FRIDAY THE 13th, which is the most comprehensive look at the popular film franchise. As an author Thommy crafted a limited-edition coffee table book detailing the making and legacy of Wes Craven’s 1984 classic A NIGHTMARE ON ELM STREET. A trade version distributed by Simon & Schuster reached number one in Amazon.com’s Movie History & Criticism category. He also has a deal with Vesuvian Media to write a YA thriller trilogy with the first book due out spring 2017. Most recently, Thommy wrote the screenplay for CineTel Films’ supernatural horror film TRUTH OR DARE. He is also directing, writing and producing a documentary with Clive Barker’s Seraphim Films in addition to developing other film and television properties with the company. As an author, he is currently writing another book that definitively details the history, making and legacy of another fan-favorite genre film from the 1980s. 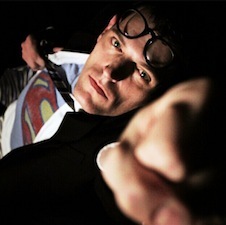 A member of the Producers Guild of America, Thommy continues to develop unique, compelling and provocative projects across multiple genres for film, television, publishing, and home entertainment through his company Hutson Ranch Media.